Using WordPress knowledge I accumulated in 13 years of using it; along with a set of productivity-enhancing tools and technologies, I will provide contemporary and effective solutions to your business needs. Before we start working together, I would like you to know a bit about me, I’m Nabil, father of 3. I’ve been enjoying working as an independent web developer for the last 15 years, I’ve been working with WordPress extensively for the last 13 years, so much that I’ve become a core contributer and a certified expert. I’m the guy you can rely on for all your WordPress related projects like creating websites from scratch, theming, plugin development, performance optimization and what not. 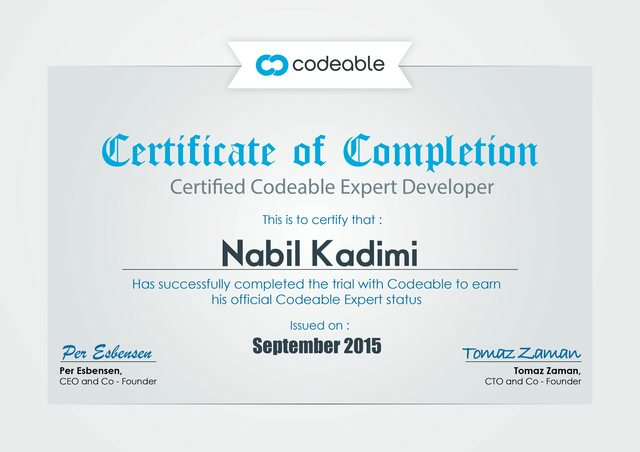 I offer my services on Codeable, which is the number 1 trusted WordPress provider. How is our working together? Except for the WordPress code I write, and the way I organize my work, there is no magic. I will communicate with you every now and then about the status of your project, in return, you will provide thorough and extensive feedback. Before booting up my development machine and starting my IDE for some code magic, I will make sure we both feel what the end result looks like, when to expect it and how it will be delivered. You will have to bear my questions. Just forget about any bad experiences you had on some freelance bidding websites, I’m not “another” freelancer, I’m an independent contractor looking for long-term trust-based relationships with individuals and companies looking for high-quality and cost-effective services. We ought to use modern tools to organize the project (communication, deliverables, code quality, etc). I’ll get a bit technical here, the code I will write will be automatically checked for security, styling and other types of issues using powerful tools like PHP_CodeSniffer, Scrutinizer and JSCS. Wishing to entrust me with your next WordPress project? After reviewing your project with you, I will estimate the project cost and time. As soon as we find an agreement and that you fund the project on Codeable, I’ll boot up my Vagrant development box, open Sublime Text and start my magic. © 2019	Nabil Kadimi - WordPress Developer – Designed by Nabil Kadimi.